Born in Osaka (May 17, 1968), a daughter of famed Japanese designer Hiroko Koshino, Yuma Koshino graduated from Bunka Fashion College in 1990. She joined KENZO in Paris as a trainee in 1991. The following year she moved to her aunt Michiko Koshino’s company, Michiko Japan London Studio Co.,Ltd., as a designer assistant. 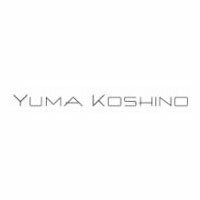 In 1997, she joined her mother’s company, Hiroko Koshino Design Office Inc. Yuma Koshino Associates Inc. was established in 2005. Yuma Koshino creations show the same great attention to detail and quality that we know from her mother’s work.